Documentation is basically a written proof of the process flow of functionality. In software industry, documentation plays a vital role in keeping requirements intact to the final functionality. The software industry strives to incorporate the most extreme use cases into programming and hence create a software that has its worth. While creating a software, it’s very important to focus on the requirement and then proceed in the dedicated direction to create a solution. But, there are many programmers who simply understand the requirement and start writing the code. This is the biggest mistake. A well documented requirement is the profound base to a perfect application in terms of functionality and end user acceptance. There are various types of documents at each phase of software development that play a vital role in accomplishing the project at its best. Software Requirements Specification Document: The SRS or the Software Requirement Specification Document is the primary document that contains all the details gathered during the software requirement phase. This detailed document is the base to functionality of a software project. The Wireframes and UX roadmap are basic constituents of this document. Source Code: This document aims at providing information on how the code is written and the logics incorporated. Code Commenting is an integral part of this. Installation Guide: This is an essential document that guides even a naive user through the installation process. User Manual: A User manual is another important document for the end user to understand the functionalities throughout a software. It’s important that this document is written in a way that it provides solution to all the end user queries and a guide to using the digital product. Maintenance Document: A maintenance document is a must to keep the software product alive for longer. This document contains known areas of concern in the product and future prospects to add new functionalities and update the existing ones. 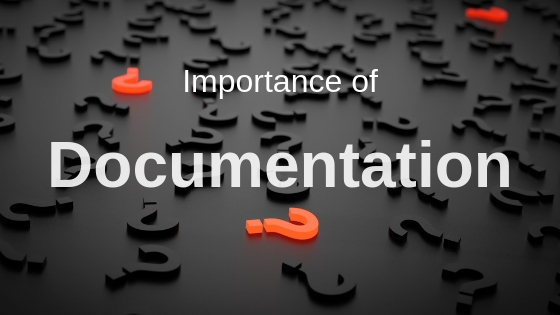 Apart from knowing these benefits, it’s important to understand some important aspects of documentation, which play a crucial role in defining an effective software. Keep the documents updated by putting a new version each time a change or improvement is made. A software document is not a mere document, instead it’s an important nugget in the field of software engineering that helps yield better and refined products each time. Moreover, Requirements Engineers, Business Analysts, Designers, Software Developers, Testing Engineers and all other participants in a software development lifecycle are responsible for creating a document that justifies various phases from requirement gathering till the final deployment and maintenance. Shivani Bakshi - A vibrant content writer by profession, I aim at creating a piece of writing that exhibits reading pleasure. I love to continuously brainstorm myself and sprinkle the knowledge acquired in my writing.